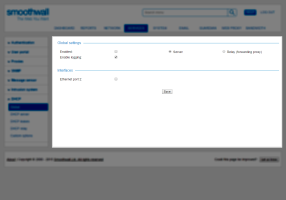 The Smoothwall's Dynamic Host Configuration Protocol (DHCP) service enables network hosts to automatically obtain IP address and other network settings. You configure the DHCP service in the Services > DHCP > DHCP server page — see Creating a DHCP Subnet. 3. From the Interfaces panel, select the interface which receives DHCP traffic from clients, and the interface that the DHCP server is on, that is, where traffic is relayed to. 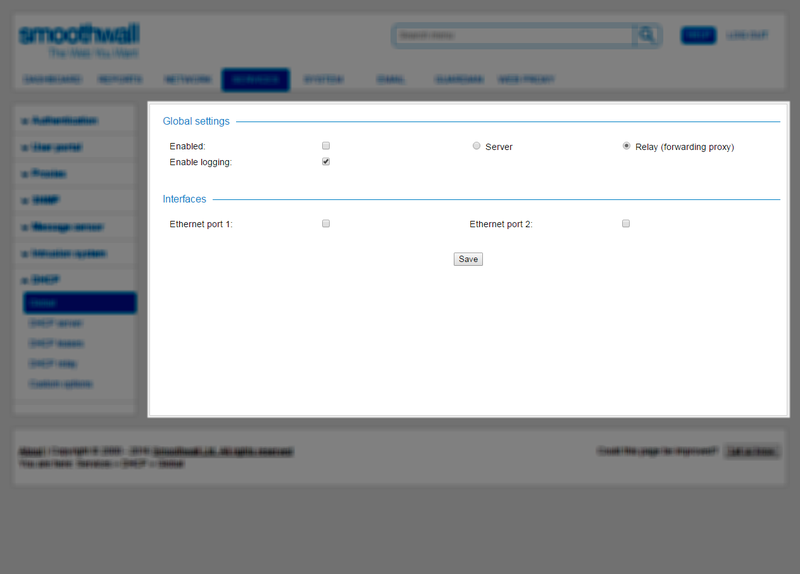 You configure the DHCP server details in the Services > DHCP > DHCP relay page — see DHCP Relaying.